BLOG.JOGGEE – Good judgement comes from experience, and experience comes from bad judgement. Bitbucket offers two types of repositories. Public – available to all the users around the globe. You must have at least read only access to work with bitbucket repository. 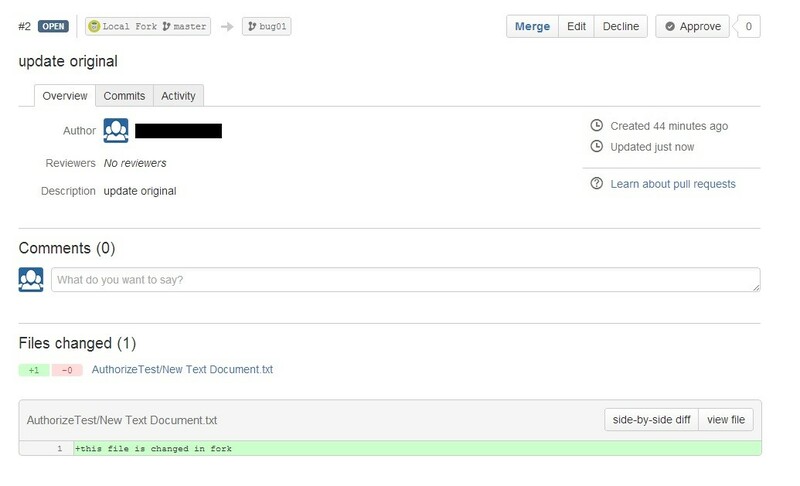 There are several steps to follow when working with bitbucket in development process. Before starting any changes, we need to have the source files. Bitbucket documentation suggests that you follow the steps given below. If this is the case, then you have three solutions to resolve this error. Execute each git command with this format. After downloading the code, you can make any changes which you need to resolve the issues. And once you are finished with changes you can push your changes at bitbucket. The steps to push changes at bitbucket are given below. Start git bash and move in the local directory (using cd command) where your bitbucket repository is residing. Execute the following git commands. Since you created a fork to work with, so after pushing changes at bitbucket you need to merge the changes with your original repository. Below are the steps to merge changes at bitbucket. Go to the fork repository. Click on Pull Request link. It will display Create Pull Request page. Select source branch, destination branch and provide title and description of the Pull Request. If there are any conflicts, the screen will also show the conflicts and the commands to resolve the conflicts. And Pull Request with conflict cannot be merged automatically. When you create a Pull Request, the administrator of original repository will see list of Pull Requests in his repository. 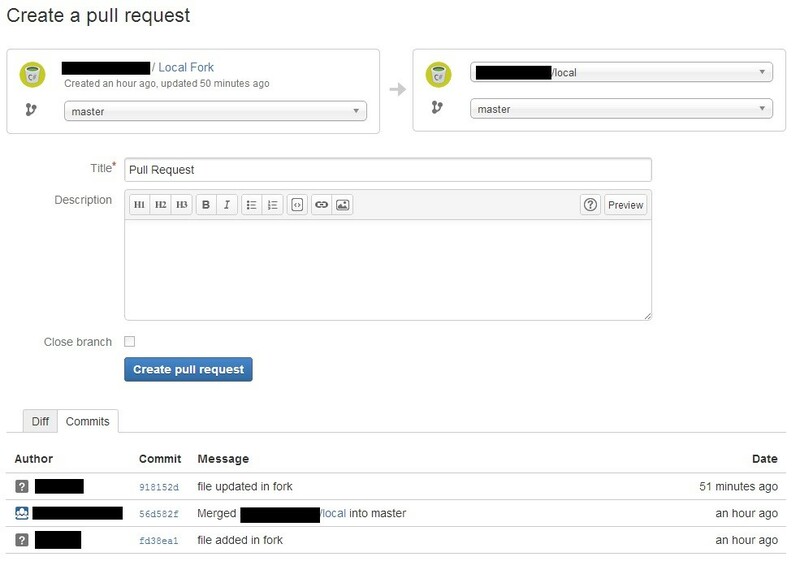 The administrator can view details of any Pull Request by clicking on its title. Administrator can Merge, Edit, Decline or Approve any Pull Request. After merge process, the changes of the source branch of Pull Request, will be available in the destination branch mentioned in the Pull Request. Windows 8.1 updates has pretty good features which attracts but it doesnt contain lot of feature as expected. Windows 8.1 requires Video Graphic driver properly installed. If you install Windows 8.1 from ISO then it will install a seperate and fresh installation which will let you install all the softwares once again. Which is quite tiring. Also Windows 8.1 requires NS enabled from your bios settings. If you didnt install contact with your administrator or get a updated bios update from their manufacture website. Remember this update is not that stable and has many issues which existed Metro applicaiton which crashes most of the time. If you are lucky you might get some application which will work fine with Windows 8.1. It is more frustrating when Metro Skype application crashes. you might found some fixes from internet about graphic setting but this is not going to work at all. Conclusion: Please don’t update Windows 8.1, Its not stable and surely will disappoint you. the people involved in software projects. about architecting this software solution. as a service for the state of California’s vehicle registration records. designed or intended it too? Why? successful projects and why it was successful. do you like to work in? the best way for software to be architected? their familiarity with the latest technology,” explains Dasan. in Web applications when different people are managing and working on data? help identify who is responsible for changes in a software project? you know about testing or QA? testing and explain how you’ve used it in the past. item in a linked list? to find out your design expertise. you were innovative with software architecture. and create software that wasn’t seen before? best way for software to be architected? with? Which do you prefer? Why? Its not a good practice to assign nothing object. The Session.Abandon method basically destroys a user session. One thing I would add the current Session object will not delete untill the script on the current page have been processed completely.